Often in recipes you can find an unusual ingredient, as a powder for making pudding. Unfortunately, it is not sold in all stores, so Housewives there are difficulties in the preparation of tempting desserts. In cooking, this composition is not only used for making a classic pudding, but as a thickener to other desserts. For example, cheesecake Russians often cook it with this powder. Of course, such components do not completely coincide with the original, but the taste is not inferior. Most often, the powder cake is used for preparation of dressings, toppings and thick cream pies and cakes, they are light and very delicate. Fortunately, this product can replace the every hostess in the fridge. If there is starch, it will perfectly replace the powder for making pudding. It zakustarennye starch has remarkable properties, so is used for cooking delicate cream fillings for pies. This cream is perfectly emphasizes the taste of canned and fresh fruit: peaches, apricots, apples. Some Housewives have adapted and replace the powder with simple semolina, because it's available and is in almost every store. The number of cereals need to take as much of the powder for making pudding. Fillings for cakes will be tender, moderately thick and won't spread when cutting the product. Another component of the powder for preparation of puddings are flavors. They can easily be replaced with vanilla. Because it gives cakes such a cozy and home fragrance. Don't forget that in the powder of the pudding is usually included sugar. Therefore, it is necessary to add as a Supplement when cooking the filling, otherwise it may get sour. Sugar can be directly mixed with starch and vanilla. 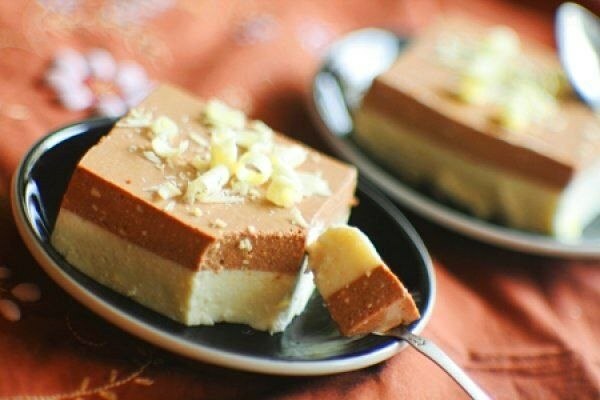 Thus, when you want to bake a delicious homemade cake with a thick filling, it is not necessary to search in all shops of the city of powder for making pudding, if he is among the ingredients in the recipe. Simply explore the shelves in the kitchen, get out the starch or semolina, add the sugar (preferably milled in a coffee grinder), vanillin to taste. From these simple components is going to be a great replacement for purchase the powder. Of course, the proportions will have to be individualized to each recipe. But it's worth it.